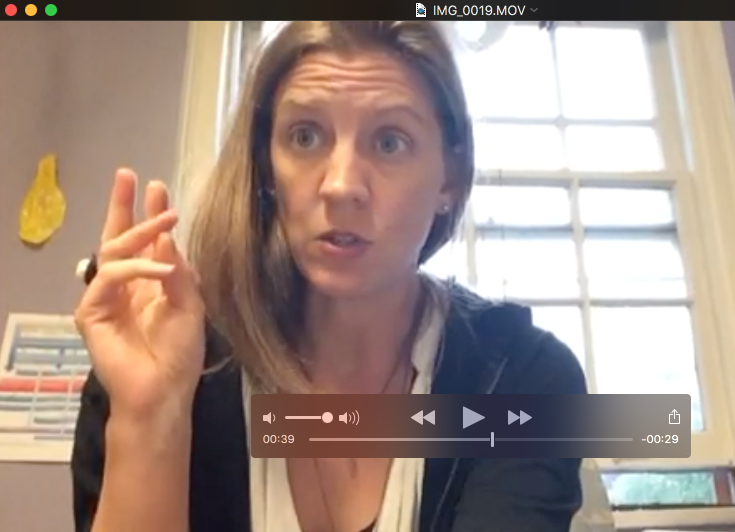 During our summer workshop, I worked with Lauren to look at various apps that would allow video analysis. I was looking in particular for an app that allowed slow-motion playback of recorded video and annotation of the video (voice recording over the video, drawing or highlighting portions of the video etc.). This was to enable students to watch movement at slower than normal speeds, with the hope that with practice throughout our program, they could start to see movement abnormalities in real time. I also wanted them to be familiar with an app that they might continue to use while treating patients. Additionally, I was looking for ways to collect evidence in one central location so students could create a repository of evidence-based information that can be accessed later. My goal was to find something that allowed access after graduation, so I felt that Moodle was not the best option for this information. After looking at several apps during our summer workshop, I decided to try Hudl Technique, which is an app for video analysis that is free. I particularly liked the ability to play 2 videos side by side (to compare movement at one time to movement at another time), the variable speed for slow motion, and the annotation features. Additionally, I decided to use the Google site feature for compiling information as students would have access to this after graduation plus many students have private gmail accounts and already use Google Drive for class projects. Although I wanted to start this project with the first year class, in the fall I only teach with second-year students. So I started project implementation in Foundations of Movement Science II because it occurs in the Fall semester each year. It was my “trial run” for the major implementation in Foundations of Movement Science I, which occurs in the spring. I first became familiar with the Hudl Technique app myself by recording video and annotating it myself to practice. I then decided which activity would use the app and redesigned the lab/activity to incorporate the new technology. The lab I chose is used to practice movement observation with students watching each other perform certain movements. I added an activity where students watched videos on the app and compared the person moving at one point in time to another point in time. While this person had a pathology (CVA) that the students had not studied yet, I had them focus solely on describing the differences they saw in the movements over time. During the first part of the lab, I took small groups of students into another room, connected my phone to the screen, and walked them through use of the app. I also scheduled assistance from Instructional Support on this day in case there were any problems, but for the most part, this went smoothly. Students were able to complete the activity in class and made some nice observations about movement by using the app. In the Spring of 2018, I used the app again, but this time for movement analysis in Foundations of Movement Science I. This was the primary target for my Tech Fellow learning as we had been discussing redesigning some of the content already. My course redesign goal was to increase the amount of instruction about therapeutic exercise and also to increase evidence use when prescribing therapeutic exercise for strengthening. My tech fellow goal was to improve observation skills, which is essential for prescribing, teaching, and refining exercise with our patients. In class on the day the assignment was due, groups taught the exercises to the class from their videos. At the same time, the group and instructors circulated in class to watch and correct other students in real time. I assessed student impression of the Hudl app by using the Feedback feature in Moodle. 35 out of 38 students completed the survey (they were given a few minutes at the end of the next class to complete this). The results are presented below for the second year students who used the app during Foundations of Movement Science II. I also asked students to reflect in a free text box on what they found the most and least useful for the app. There were consistent comments that students liked being able to slow the video down to watch it, being able to rewatch as many times as needed without making a person do the movement over and over, being able to watch close up on a personal device rather than on the big screen in class. The least favorite parts of the app were that some people had a hard time getting it to work due to low memory on phones or not functioning exactly as demonstrated on an iPhone (because they had an android device) and also that we only used it once in class. Anecdotally, several students reported seeing this app used in the clinic for running analysis with clients. The same questions were asked in my second semester of use to the first year students in Foundations of Movement Science I. First year students were more ambivalent about whether this app should be used more in class than the second year group, which is interesting. Both groups thought the app was useful and helped learning. This group of students were asked about whether they liked the website where they could deposit information about exercise. Overwhelmingly, they liked this concept. The narratives from the first years students were similar to the second years: they liked being able to slow down the video, liked having a video reference for exercises, liked being able to voice over a video to explain what was happening and slow down to watch. The least favorite things were also similar and dealt with difficulty of the technology (cannot rotate videos or cut portions out)and not being able to share as easily as they would have liked. Most students could not suggest a better website platform, although one person recommended YouTube as a better place for video storage. There is a time lag between sharing a video and having it show up on the app for students to see. Share video the night before it needs to be used! The free app does not allow more than 1 “team”… this will create a problem with each successive year because sharing a video will share it with students no longer in class. I could delete students from my team, but then they will not have access to the videos they used in class. The free Hudl app does not allow downloading of video that is shared (which would be a way to solve the challenge presented above). I wanted to upload video to the class’ Google site as well and cannot do that by downloading videos from the app. I could “film the film” as it is playing on my computer – but this is a time-consuming step and one I would rather avoid! There are subscription versions of the Hudl application, but there is a cost associated. But – you need Google drive for any pictures or documents that you are going to upload. This may lead to an eventual storage problem of my Google Drive if I continue this year after year. Determine what to do about the inability to download from Hudl Technique – either explore funding for more advanced version, look at other apps, or have students create on Hudl and then download to their computers and share via email/Google drive/youtube with me. Look for other ways to use movement analysis app more than once during class (need to discuss with co-instructors and instructors of other courses in our program). See if students as they transition to Foundations of Movement Science II like the app even more because they are familiar with it. Look for other ways to utilize the app in class so that the learning occurs for more than one activity. The use of Poll Everywhere, iPad Apps, and Panopto to enhance engagement and the student learning experience in an undergraduate Exercise Science course. My primary goal as a Tech Fellow was to increase student engagement in content and discussion in one particular course (EXS 302: Principles of Strength and Conditioning) by incorporating a variety of technological tools into my teaching efforts. During the summer workshop I was introduced to a variety of tools. I chose to utilize Poll Everywhere for muddiest content, iPad apps to supplement lecture, and Panopto for student submission of a practical exam. I assessed the success of implementing these tools via an informal discussion with students. The majority of students felt that Poll Everywhere (muddiest content) and the iPad apps enhanced their learning experience. However, students felt that the use of Panopto for submission of the practical exam was not enjoyable and/or beneficial. Next year, I plan on again utilizing Poll Everywhere (muddiest content) and iPad apps (lecture supplement) while omitting the use of Panopto for submission of the practical exam. Following each lecture, allow 5 minutes for students to participate in Poll Everywhere for muddiest content. Take the top 3 muddiest and begin subsequent lecture reviewing. Include two weeks of covering Resistance Training Exercises (NSCA Dartfish videos and Muscles in Motion apps) prior to practical training in the weight room. Cover use of Panopto and allow students to practice (one lecture). I began implementing Poll Everywhere for muddiest content after the first lecture and continued to utilize this tool throughout the semester. Students used their computer or smart phone to type in what content from the lecture they felt were unclear. At the end of the 5 minutes, I noted which key words were typed in the most and began the next lecture reviewing that content. There were days throughout the semester where we ran out of time and/or the students had indicated they did not want to participate. During the latter half of the semester, for two weeks I systematically covered resistance training exercises. I started off first by noting the name of the exercise, the Prime Movers and the Eccentric versus Concentric Phases. Thereafter, I provided commentary as students viewed the NSCA Dartfish video while stopping, rewinding/fast-forwarding at times. After projecting the video, I projected the Muscles in Motion app to illustrate the muscles working during the select exercise. This process was repeated for each additional exercise. Following practical training in the weight room, I allotted class time for students to practice using Panopto. Following a brief presentation, students were urged to create a short video in Panopto and submit it to a folder I had created. 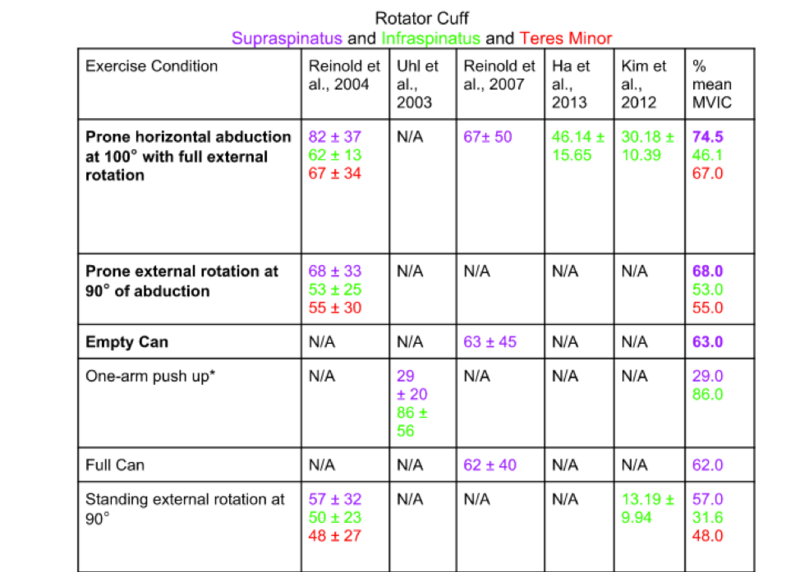 For the practical exam, students had to describe and demonstrate select Resistance Training Exercises in Panopto. Students submitted their videos during the last week of class. I assessed the success of implementing the technological tools via an informal discussion with students. SUCCESSES AND CHALLENGES: Throughout our discussion, students had indicated that they felt as though the use of Poll Everywhere for muddiest content was beneficial to their learning experience. Further, in my opinion the use of Poll Everywhere for muddiest content increased student engagement by allowing students who were otherwise quiet and reserved to voice their confusion anonymously. Nonetheless, one thing I found challenging was the monotony of how I implemented Poll Everywhere for muddiest content. Students had indicated that the NSCA Dartfish videos and the Muscles in Motion apps were beneficial in helping them understand the resistance training exercises. They proceeded to suggest that I cover one body segment in class then go to the weight room for practical training then back to the class for the next body segment and so on. I found this to be a great suggestion as one of the challenges I faced during that two weeks was attempting to slow down the presentation of information. Virtually all of the students indicated that they did not feel that using Panopto to submit their practical exam enhanced their learning experience. Further, they went as far as to suggest that I omit Panopto and have future students take the Practical exam in person. After grading the practical exams (videos), I agree with the students’ suggestion. All of the students received an A for the practical and the submission didn’t seem a true assessment of their skill level. Utilize Poll Everywhere for muddiest content while changing the implementation timing. Utilize NSCA Dartfish video and Complete Anatomy apps for classroom instruction of resistance training exercises. Omit the use of Panopto for submission of the practical exam. My technology fellows project was not terribly creative. I have been resistant to the idea of creating online classes, but I know that there are online instructors who do an incredible job teaching in that format, and I also know that students will benefit if I learn some best practices of online teaching. So, during Fall and Spring semesters (2015-2016) I turned three class meetings for the Human Development across the Lifespan course into online classes. I used various technological components for each of the three classes and I surveyed students about different aspects of the online classes. I used technology to substitute an online learning environment for 3 different on the ground class meetings. I modified the assignments and activities that I do in person to fit the online format. For each of the three classes I used increasingly more technological tools. For each online class there was at least one activity that addressed each of the four learning outcomes. For example, in the third online class students watched and critiqued videos/articles describing the transition to emerging adulthood. The structure of the graduate level human development class (meets one time per week for 3 hours) is that each week a different age group is the focus from a physical, cognitive, and psychosocial perspective. I first identified three weeks of content that I believed could most easily be translated to an online format. The first online class occurred three weeks into the semester. The topic was cognitive and emotional development in early childhood. The second online class occurred at week 5 and the topic was cognitive development in middle childhood. The third online class occurred near the end of the semester, week 13, and the topic was cognitive and psychosocial development in emerging and middle adulthood. Please see below for the specific description of the class activities. Though all of the technology I attempted to use did work (miracle! ), my plan B was to do the most basic online course by simply posting activities to Moodle (like in my first online class). PowerPoint slides posted to Moodle, a Microsoft Word document explaining the activities for the day (below). 2). Return to slide #2 (it says typical development at the top). There is a link to a TEDtalk that summarizes some of what we know about prenatal learning. The name of the talk is “what we learn before we are born.” First, watch the talk. Then, write down one or two of the findings that you found most interesting. You can hand write this on a piece of paper or you can type it on a Microsoft word document – either way you will need to show me the document (on your computer screen or the paper where you wrote your responses) next week in class. (video 17 minutes, response 10 minutes = 27 minutes total). 4). Slides #4 & 5 provide an overview of Piaget’s theory. Do they make sense? Now take a look at the Biographical sketch on page 80 of the book and/or the PDF from an article of his that is on the moodle page. What comments or observations do you have about Piaget, his writing, his background, or his theory? This should be a couple of sentences. (about 15 minutes). 5). Slide #6 describes the substages of Piaget’s sensorimotor stage. Note: you will not have to memorize the substages, I just wanted you to see that they exist. Can you summarize what generally occurs over the Sensorimotor stage? What would be the newspaper “headline for this stage? (about 5 minutes). (if you Google “Piaget conservation task, YouTube” it is the first thing that comes up). 11). Slides #17-19 provide a very brief overview of some language development milestones. Entire courses are taught on the topic of language development. At this point, familiarize yourself with the general progression of language development. Then, consider the finding described on page 104 of the text related to the difference in vocabularies according to how much parents talk to their children: “In a 100-hour week, a toddler in a professional family might here 215,000 words on the average, in a lower-middle-class family children here about 125,000 words, and in the poorest homes about 62,000 words. All of the children learned to talk on schedule, but the differences in parental input were correlated with the children’s vocabulary measures by age 3.” (Broderick & Blewitt, 2015). 13). Slides #24-27 provide an introduction to some of the important points from Chapter 4 (Emotional Development in the Early Years). Review the concepts on the slides (5 minutes). 14). On the Moodle site for tonight there is a PDF for an article called The Origins of Attachment Theory:John Bowlby and Mary Ainsworth we will use the article as part of our discussion next week. Please spend 15 minutes going over some of the article. At this point you do not have to do a super close reading of the article, it just provides a great overview of the attachment literature and is a really good reference to have – we will talk about it next week!!!!!!!!!!! 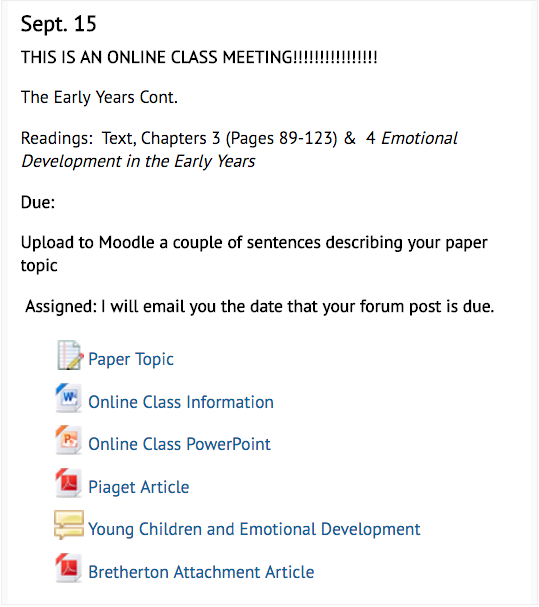 Narrated PowerPoint slides posted to Moodle, a Microsoft Word document explaining the activities for the day, and introduction video (recorded on my iPad and uploaded to Moodle) of me welcoming them to class and giving them the plan for the day. Please look back at the last online class activities that you completed (Sept 15th). Please identify one area / concept / idea that needs further clarification. Please post your question to the Moodle Forum. I will try to make sure I’ve prepped answers to all (or most) of your questions by the time we meet next week. Go to slide #11 – Selman’s Stages of Friendship. (15 minutes). These stages are described on pages 231-234. You do not have to write anything down, just see if you can imagine what “friendship” looks like at the different stages. Glossary activity (30 minutes, probably less). There is a tab in the Moodle section for this week that says “glossary.” Go through Chapter 6 and choose any of the concepts or ideas that are described in the chapter. Use the paraphrasing skills you practiced in Part II of this assignment to make a glossary entry for that concept or idea. Basically, describe one of the concepts or terms from the chapter in your own words using the glossary tab that is set up for you in Moodle. A video of me teaching class that was recorded using the SWIVL video capture system. Throughout the “lecture” I directed students to online activities that they completed via Moodle, I also created an online class information sheet (below). The slides begin with a review of the ideas related to emerging adulthood, which is where we ended class last week. Please go over and/or listen to that slide (#3). Reflect on what you think about emerging adulthood? Do you believe it is a new stage that is independent from adolescence and young adulthood? Next watch the following videos (if you can’t watch the videos, that’s ok, I just think they are brief and super helpful in seeing the two people who often write / research about emerging adulthood. After the videos, read the Generation Me and Generation We article. Next, do a brief forum post (a couple of sentence) on a). which perspective / article you find more persuasive? B). what it is that you find compelling? and c). how this information (related to emerging adulthood OR generation me) may be helpful to counselors? Take a look at / listen to the video for slides 4-12. Contemplate the information. Look at / listen to the slides on the Five Factor Model of Personality (#13 & #14, pages 483-485 in your text). Next take the following “big five” assessment (there are loads of these measures available on the internet. This one is free and comes from a reputable group of researchers. Upload a couple of sentences about what you thought was interesting, useful, problematic about this way (the five factor model or the actual measure you took) of understanding personality and how it may or may not be useful for counselors. What do you think about the idea of a “midlife crisis?” Is it a “real” or useful construct? Is it more helpful to think about the notion of turning points? How so? Write two sentences-ish of a forum post. I assessed my project by asking students to complete an anonymous survey after the online classes (see below). While I have not done a formal analysis of the responses, a frequency count indicates that, in both sections, no students (0/40) reported “learning more” in the online format. In the Fall semester, 90% of students reported “learning less” in the online classes. In the Spring section, students were evenly split between those who reported learning less (49%) or about the same (51%) in the online format. The most common reason students felt they learned less had to do with preferring the in class meetings and discussions (finding the in person setting more valuable). Students indicated that they enjoyed the time flexibility of the online class (could complete it in chunks or whenever they had free time) as well as posting/responding to forums. If you indicated more or less learning in your answer above, could you explain some of the reasons why? Ideas and / or suggestions for future online class meetings? All of the technological components of the classes worked well (Swivl, uploading video, various Moodle activities), and I certainly felt like I had support to make the project happen. The thing that didn’t work so well was my attitude and the attitudes of the students. That is, the first semester I tried the online classes I was not very confident that it would “work” in terms of helping students to meet the class objectives, and my lack of confidence translated to (or at least contributed to) students’ dislike of the online meetings. The second semester, I felt more confident about the online classes and students seemed to be more accepting of the format. There is not much I would change. I did the three different formats in order to “experiment” with what worked best with the course content (which was informative), and I think the variety helped keep students interested. I may narrate more of the PowerPoint slides and have more “interactive” activities such as forums to increase synthesis of the content and facilitate student engagement with the material. I have two goals for year two. First, I am going to put one or two other age groups in the online format – it was really great to have the online versions ready to go when two of the weeks were snowy and icy during the Spring semester. Second, I am going to work with Jen Morse to figure out the best way to use a writing app (Noodle Tools) to help students construct the research papers they write for the course. it’s best to stick with reputable publishers because the quality of digital text-publishing varies widely; many products are sub-standard due to poor editing and page enumeration. breakthrough learning technology, offering something that often cannot be achieved in traditional classroom teaching: opportunity for each participant to speak and be heard by every other member of the group. refer to them, in a second post. Setting up assignment parameters and deadline schedule requires careful thought, but the result is satisfying to all concerned. Skype would also be first choice when talking to people in China, due to the Chinese firewall that complicates use of Google products. This tool, for me, is closer to a new medium (e.g., hypertext, animation) rather than a formatting or packaging tool (e.g., Word, PowerPoint), because it fosters visual thinking about rhetorical issues that, in my thinking and training, have previously been centered in and by verbal text. Its panoramic, zoom, and pathway features offer concrete correlatives for abstract rhetorical concepts like introduction, paragraph development, topic ordering and transitioning, conclusion, etc. Thus, it feels to me as though Prezi has prompted a quantum shift in my own understanding and practice of written and oral argument. It opens up new areas, channels, and even modes of thought, much the way a new language does. It was a student who first introduced Prezi to me, and many students share my excitement about this product, even though one might think it would not be so startlingly new and inspiring for people who have grown up in an environment filled with digital, visual-media communication tools and (flip side of the coin) do not have decades of training in verbal-text thought pathways that now can be so productively disrupted and reconfigured by this new medium/tool. In fact, the first big negative result came when a student grew so excited by the opportunities afforded through this tool (and by the topic she was pursuing) that she lost sight of the necessary limits: her Prezi project ballooned into a behemoth that exceeded the assignment limits by a full magnitude (yes: 10x). Thus, the first big lesson (not a new one, to be sure) is that caution and heedfulness, as well as energy and imagination, are needed when using a new tool (or medium) like this one. This is a proprietary tool and Chatham does not currently have a site license, but the business model, cost, and subscription policies seem reasonable to me. Downloading is possible but remember that the files may become very large, which may impact both the time needed to download and the storage space needed on a drive. Review of Current Technology Practices and Trends: Prezi seems to be an increasingly popular, and well-received tool. I am still using and experimenting; may have fuller comments to report here at the end of the summer. I am a paradox to many – I am an early career professional but a complete late adapter when it comes to technology! 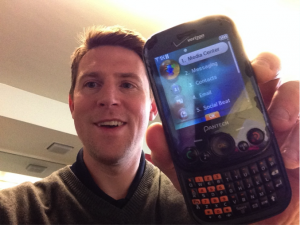 Case in point – I still have a basic talk/text phone from 2008. Nope, no iPhone or Samsung Galaxy for me yet. So, I began the Technology Fellowship with a healthy combination of ambivalence, skepticism, and lack of confidence. Like a moth to a flame, I did know that I wanted to learn some new teaching skills and to see if some of this technology stuff was really helpful to me and students. Panopto: I taught a Research Methods class and made an instructional video about qualitative research coding. Student Feedback: The video was underutilized by students. The feedback that I received from most students was that they forgot the video was posted to Moodle because they never had a professor post supplemental videos before. A couple students did remember and reported that the video was helpful with their homework. Group 1: Throughout the development of our research project, we found technology to be very beneficial. We found Dropbox to be a very useful tool. Dropbox is a program that allowed us to access one document which could be edited at any time by any of the group members. We were able to track everyone’s progress by each member choosing a font color, signifying it was he/she who had written the post. Instead of getting in your car, driving to campus, opening up a notebook, Dropbox allowed us to work from home at any time that was convenient to us. We found this to be especially helpful because our group was the largest containing four people. Group 2: We used google docs for our technology and we just completed the entire lab on this document. This was very helpful, as it allowed us to contribute to one document even if we were not in the same physical location and on the same computer. It also allowed us to just sign onto google docs to contribute instead of having a flash drive or other type of document. This made updating our lab much easier. Group 3: Our group capitalized on the use of technology and virtual communication throughout the project. By using the easily accessible and user friendly Google Drive and Google+, we were able to communicate by sharing documents, progress notes, and questions that surfaced throughout the project. Google+ allowed us to create a communication circle where we could easily communicate through posting to our group wall with links, comments, and meeting reminders. Google drive allowed us to upload our documents so that each member would have access to update the documents, all while being revised and saved in real time. Poll Everywhere: Poll Everywhere is a simple way to compose a poll as part of a presentation. I used Poll Everywhere in all of my classes as well as for professional conference presentations. The technology increases engagement and often is a catalyst for larger group discussions. Feedback: Universally, students and professionals love Poll Everywhere. You get to text in your answers and the results show up on the screen in real time. Students like being able to use their cell phones during class instead of being told to put them away. Below is an email I received after the conference from a colleague. Quick question–I thought I had written it down…but what was the name of the app you demonstrated so beautifully in Atlanta during our presentation? VoiceMemos for Grading and Student Feedback: I bought a voice memo app for .99 cents, which I use for grading assignments and giving feedback to students. Very easy to use. I like the voice grading a lot better than writing all of my feedback on student assignments because students can understand my tone and style a lot better and seem to accept constructive feedback easier. Student 1: I think the voice memo is FANTASTIC! It totally took me by surprise, but it felt as though we were having a face to face meeting! Student 2: Wow! What a cool way to give feedback. Thanks Dr. Isacco! When I received my iPad, I didn’t even know how to turn it on! I knew implementing my ideas was going to be a challenge. My first success was turning on my iPad. Since that magical moment, I had a lot of fun using Polleverywhere, VoiceMemos, and encouraging students to use technology. I also use my iPad for note taking all my meetings, to-do list (Wunderlist is a great app for this and free), and has basically replaced my laptop. I can see how technology can increase student engagement, make classes more fun and interactive, and improve logistics on assignments. Making instructional Panopto videos as supplemental material for my Research Methods class was a challenge. Even I found the video a bit boring and I would like to figure out a way to increase student utilization of the videos. Learning new technology is frustrating at times and not everything works all of the time. Make better use of Panopto videos for upcoming Research Methods class in Fall 2014. Develop a hybrid or purely online course within the next year. Keep using the tools that I learned and like. All of the technology innovations I’ve tested have had the goal of creating new pathways for student interaction and feedback in large classroom settings that are not innately suited for general classroom discussion. PollEverywhere is a software platform for allowing students to respond rapidly to prompts during the classroom session, and AirServer is a software parallel to Apple TV. It provides the opportunity for me to use iPad apps in the classroom, and for any student to take project their work for the entire class to see. CreateDebate is an external, public space for hosting debate-style analysis of topics. Here, students can interact with themselves and with the general public to develop and evolve their critical analysis and writing skills. AirServer has been the easiest to implement so far, as I have only used it to incorporate a series of gen chem specific iPad apps into my classroom lecture. In a class of 50 students, only 4 have iPads of their own. As many of the bast apps also have some expense related to them, being able to present them for the class has been important. I’ve used PollEveryehere in my gen chem classes in each of the past two semesters. I find that the user interface for faculty is very good, although student experiences have been mixed. I used CreateDebate in a general science class to debate the question “Should the US allow the construction of new nuclear power plants?” Because this was a public forum, I allowed my students to participate using pseudonyms as long as they told me how to recognize their posts. CreateDebate was definitely my most popular new technology tool with my students. while they complain about having to write even short papers in my class, many of them added a lot of content to this debate. They were not at all disturbed by the fact that it was open to the public, and continued to go back to it for the 3 weeks that it was live. In their course evaluations, they asked for more similar experiences. AirServer was initially a challenge . . . I was using it over the wireless network in Beckwith and competing with 40 other computers. I have now learned how to set up a private local network between my iPad and my computer to avoid bandwidth limitations in streaming video. In January I attended a conference in an NSF-sponsored Atlanta focused on innovative new ways to use iPads in the chemistry classroom and lab settings. While many of these are based on the expectation that all students have access to iPads, I also came away with 25(+) new apps that offer some excellent interactive activities. For now, being able to integrate them into my lecture and move my class further from the static PowerPoint model to more dynamic animations has been great. I’d love to design more guided-inquiry experiences for students based on these apps (I did write one as part of the workshop) but until students can run them, demoing is about the best I can do. In general I was very happy with PollEverywhere, but it has been my most challenging to implement. I tried to have all my students register so that I could track their answers, but a number of them had difficulties with their accounts. I’ve recently given up on this, and now let them respond anonymously. I’ve also been a bit disappointed at how long it takes to get everyone to post an answer. I tried very hard to create the expectation that they should bring their computers and have them set up to respond to a question by the start of class, but this has not worked. In order to get everyone’s response, I have to wait at least 4-5 minutes, which is much too long for the sort of “in the moment” response I’d envisioned. An informal poll found that the hardware clicker solution, used in Biology, is more popular than PollEverywhere. I will be asking this more formally at the end of t he semester. Student response to CreateDebate has been very positive, and I was more than satisfied with the ways students participated. I’ve used a couple of classroom sessions to focus on demonstrations of chemistry concepts with iPad apps, and student performance on subsequent multiple choice questions was 10-15% better than last year. Since on average this year’s class is a little weaker than last year, I think this is strong validation. PollEverywhere has been mixed bag. I think students were very uncomfortable with the fact that I was tracking their responses. Since I’ve gone to an anonymous response model, total responses are down a bit, but time to respond and general classroom attitude have both increased. One of my hopes was that by practicing more multiple-choice style questions during the class would improve their multiple-choice test taking skills on my tests, but to date I do not have any strong evidence to support this. They are not doing worse than previous years, but they are still doing pretty bad! For next year, more integration of iPad apps to my gen Chem classroom.